Making the Turn has partnered with HappenDance School in Okemos, Michigan to offer the first of its kind class in the greater Lansing area. This ten-week program provides an opportunity for those living with Parkinson's disease to keep their bodies moving through dance. 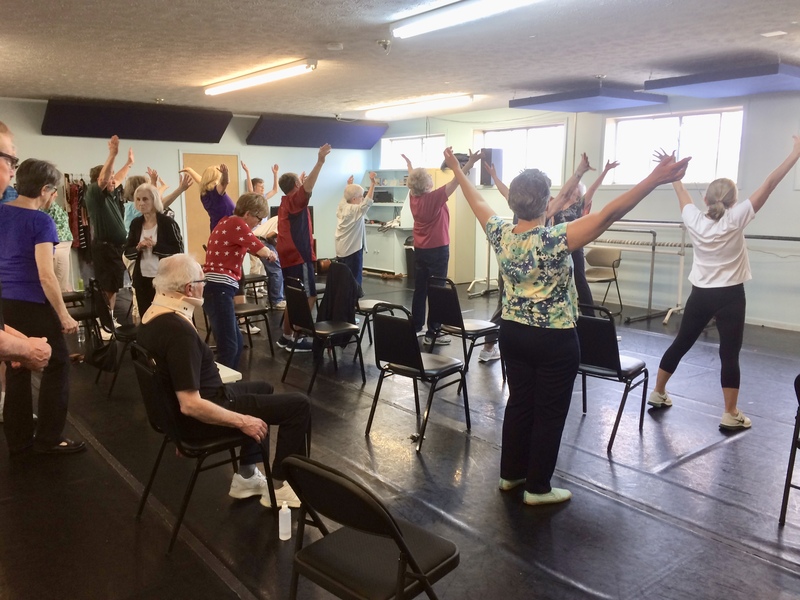 Come join a movement class that rocks, rolls, swings, boogie-woogies and gives you a workout by dancing to music! Starting with easy exercises while sitting and progressing to moving on our feet (optional), everyone is welcome to join in the fun of moving to rhythm. Happendance School, 3448 Hagadorn Road, Okemos. This is the red barn-like building at the corner of Jolly and Hagadorn. Entrance is on the east side of building where the elevator is located. Clothes in which you can comfortably bend and stretch. Athletic shoes, soft-soled shoes, or ballet slippers. Please no hard-soled shoes or heels as they can destroy the special dance floor. Participation is FREE thanks to a subsidy from Making the Turn!